Umar Akmal has been slapped with a one-match ban for breaching the PCB's code of conduct, which means he will be unavailable when Pakistan take on New Zealand in the first T20 on January 15. It is learnt that Akmal did not adhere to proper clothing guidelines during the Quaid-e-Azam final earlier this week, between his team Sui Northern Gas Pipelines Limited and United Bank Limited. "PCB has informed us that Umar Akmal was handed one-match ban by the match referee last week in Karachi for breach of code" Pakistan team manger Intikhab Alam told ESPNcricinfo. "The suspension applies to the next game regardless of whatever the format and level is, and we are not going to play him in first T20 against New Zealand but he will be available for next games." Department teams like SNGPL can wear only one logo, which needs to be approved by the PCB, on their uniforms. But ESPNcricinfo understands Akmal was sporting a different one. This constitutes a Level 1 offence - "abuse of cricket equipment or clothing, ground equipment or fixtures and fittings during a match" - according to the PCB's code of conduct. Akmal had already been warned for a similar offence on two previous occasions in the QEA Trophy, and since this was his third violation the match referee Anwar Khan issued a penalty. Then the PCB extended it to the opening T20 that Pakistan play against New Zealand in Auckland next week. 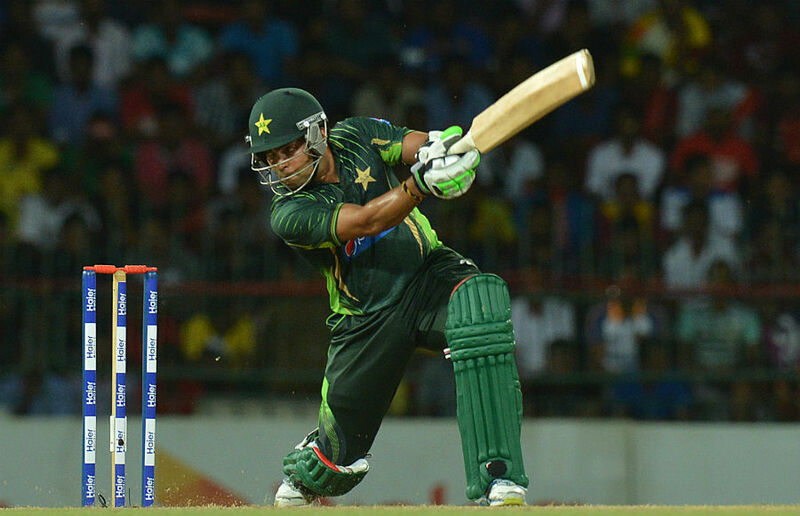 This is the second series in a row that Akmal has faced scrutiny from the PCB. He was omitted from the squad picked for the T20s against England in November after reports suggested he had been involved in "immoral activity." But he was subsequently cleared of those allegations by the PCB and was brought back into the team.